Set for its 5th annual running this spring in a place that offers gorgeous views of the Connecticut coastline, where you’ll get to see plenty of historic ships in the Mystic Harbor as you run past them, the Mystic Half Marathon is part of a series of races organized throughout the year by the Hartford Marathon Foundation. Run through America’s maritime history. 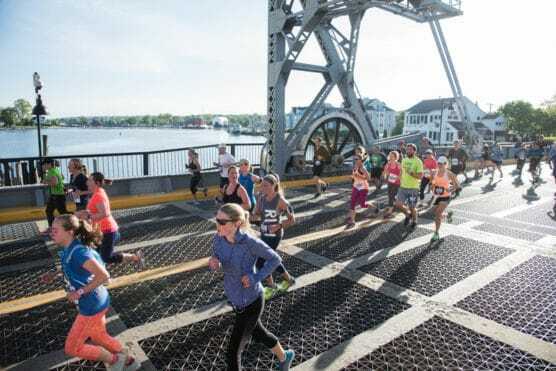 The early miles of the race will bring you along the banks of both sides of the Mystic River, including stretches that run past the Mystic Seaport, the nation’s biggest maritime museum. 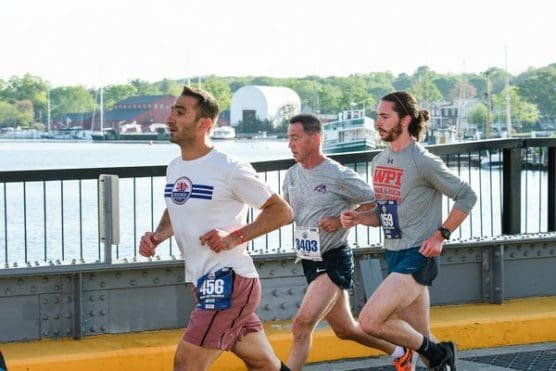 There, before or after the race, you can see what life was like in a New England seaport town at the dawn of the American experiment — they even have the famous Charles W. Morgan, an 1841-era whaling ship that’s also the world’s oldest surviving merchant sea vessel and the oldest wooden ship of its kind. But let’s not get ahead of ourselves — you want to know about the race, right? Point-to-point loop route with plentiful views of the water. You’ll start the race along Coogan Boulevard near the village center, and from there turn left to head south along Greenmanville Avenue. You’ll take that into Mystic and turn right on Holmes Street to head toward the river, which you’ll cross over at East Main Street. After you make the turn onto Pearl Street on the opposite side of the river, you’ll start heading north, and pass by parks like Peace Nature Sanctuary and Lozier Sub Park, with the Mystic River over your right shoulder for the entire stretch. As you make your way north, you’ll head into Old Mystic — both villages get their name from the Pequot, the native American people who lived here centuries ago and called the area “missi-tuk,” for a river whose waters are driven by the wind and tides. Forests with tree-lined roads. Once you pass by the river again, from Old Mystic Center Road to Whitehall Avenue, you’ll begin a stretch of the race that offers up more rural areas with dense forests. The latter half of the race unfolds through these areas, along tree-lined roads like Deans Mill Road and Flanders Road. Some of the biggest hills of the race also occur in this stretch, between miles 9 and 11. 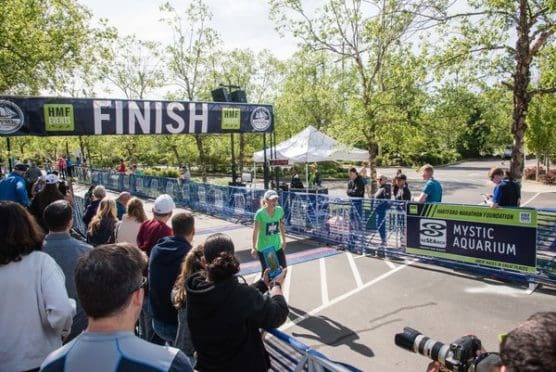 The final mile of the race unfolds after you pass by Jonquil Farm and hit Jerry Browne Road, which will bring you back into Mystic for the race finish, and you’ll cross the finish line in front of the Mystic Aquarium. Nestled along the banks of the Mystic River and Mystic Harbor in southeastern Connecticut, the village of Mystic typically sees chilly to relatively mild weather conditions in May, which brings temperatures that average between the upper 40s and the mid-60s. See the race route map for the Mystic Half Marathon here. To reserve your spot in the 2019 running of the Mystic Half Marathon, 10K or HMF FitKids run, register online at ChronoTrack.com here. Ever run in the Mystic Half Marathon? Share your impressions here, as well as anything you learned about the race that you think other runners/walkers should know.